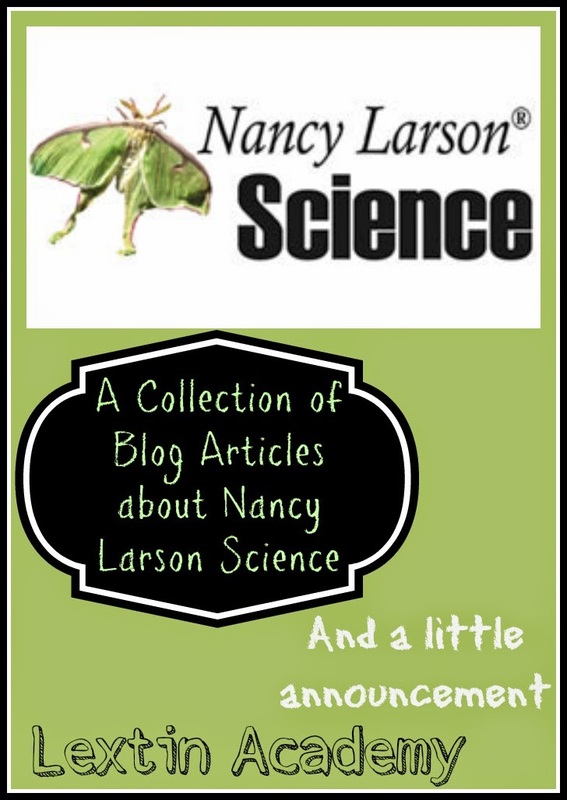 If you’ve read my blog for any amount of time then you’ve read about Nancy Larson Science. This is our favorite science program and has been a wonderful addition to our homeschool. I’ve been able to use the program for several years now and have had the privilege of working at their vendor booth for two years. I love talking to other homeschool families and sharing about how we experience success in our science studies. 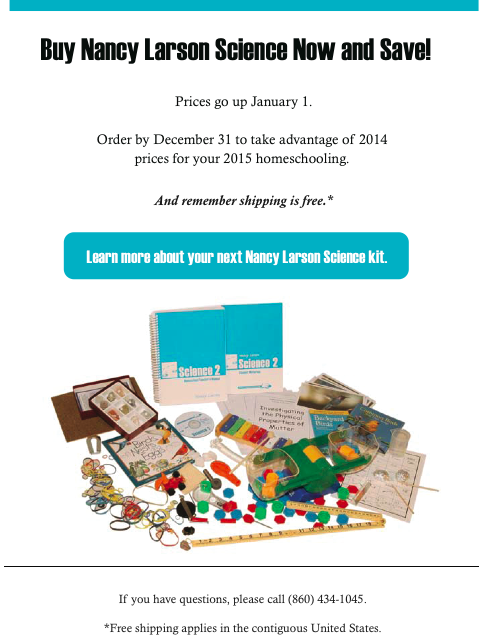 Well, there will be a slight increase in price for the science kits after the first of the new year. However, if you are thinking about buying a program for next year, now is the time to buy before the increase. You can purchase a program at the current prices and receive free shipping. Ohhh, and I would so appreciate if you would use my affiliate link (click the banner below) when you purchase. This enables me to continue using this program with my kids!